Here's the third of this week's Pitch Pitches. If you are new, please see this post here. See Monday and Tuesday's posts and do comment there, too. It's a whole Pitch Pitch week! One hot August day, a fractious young lady named Hazel escapes from her governess, raids an apple orchard, kisses a boy, and smashes a witch's window. The witch curses Hazel into servitude until she speaks her one True Name. Hazel, afraid of what the witch has planned for her and abandoned by her distant but beloved father, undertakes her new role most unwillingly. As she struggles to live and work with her captor, she slowly discovers that she and the witch are more alike than she had ever suspected. But when Hazel discovers her father is dying and the witch does not immediately let her go to him, Hazel runs away to Faerie, desperate to learn the witch’s Name. Instead, she falls into the clutches of the Fairy Queen Morgana – the witch’s vengeful half-sister. This does not feel like YA, Possibly there's some irony going on in the pitch, and if so, good, because teenagers often love that. But we need to know it's irony, because teenagers also need deep meaning if they are to deal with something as "young" as witches. Thus, the story feels too young. So, either the pitch is wrong or the book is wrong. Either the pitch needs to sound more YA or the book needs to be written for younger children. You might want to consider Tender Morsels, by Margo Lanagan - an extraordinary dark, deep, rich, adult-YA fantasy with witches and talking bears, but the darkness is so strong and apparent that it becomes instantly identifiable as for teenagers, not children. And the name Morgana worries me, as it's very much a cliché, making me worry that there might be other clichés in the story? It also feels incomplete. I want to know what happens then. So, it feels not meaty and "big" enough - and this is either a problem with the pitch or the book itself. But I do like the sparky writing and I would love to know how this translates to the actual book. Erin, what do you think? I'm with Nicola that the opening line is a little tired. I like the feel of this very much but agree also that it seems pitched at a fairly young audience rather than YA. In your second paragraph you have used 'discovers' twice, (not being picky here it's something I tend to be guilty of),that is easily fixed. The book is appealing and were I choosing a book for my ten year old daughter, I would pick this up. Yes, I agree, it has the tone of a Grimm tale, or perhaps a MG quest, rather than a YA. I'm seeing a lot of witches in YA at the moment, and they tend to be a bit more edgy. The language used also seems very traditional. Even MG books tend to have slightly more edge - be that sarcasm, humour, wit or clever neologisms (JK is the Queen of the funny noun). It might simply be that you need to call this children's fiction. I think we need to know the rest of the story too. What happens next? When I was having a problem Nicola suggested I (re)read Vivian French's "The Robe of Skulls" - which was, as always, good advice. There is also the marvellous "Which witch" by Eva Ibbotson. I do not know but would looking at them help you decide if your book was more middle-years? I think your pitch needs a round up sentence at the end saying what she learns from Queen Morgana. Yes, the tone seems more middle grade. The language is definitely Grimm fairy tale but with 'young lady' and 'most unwillingly' sounding almost too motherish?? I liked 'One hot August day...' because it grounded me in the story and suited the fairy tale feel but I always seem to like what no one else does so...Congrats on what is, to me, another succinct pitch. Tried to post earlier but must have hit the wrong key so apologies if this shows up twice! Erin, I liked the 'hot August day' opening. Coupled with 'fractious' and 'governess', it set up an instant picture in my mind of a lively girl, dressed in heavy Victorian/Edwardian clothes, hot and bothered and therefore running wild, getting into mischief and unwittingly going too far in coming up against a witch. I also liked the idea of a witch who is perhaps not so bad and a fairy who is not so good. But then I wanted to know more, to see where it was going. The pitch set up a premise that I liked but which then needed more substance. It may well be there in the book but I couldn't feel it in this pitch. Finally, I do agree that it sounds as though it's suitable for a slightly younger readership - I'd pick it out for my 12 year old daughter. Thanks so much for letting us read it. Good luck! Thank you so much for your helpful comments. The first thing I've learned is that I need to go back to the drawing board as far as the pitch is concerned, because the novel is definitely a YA. 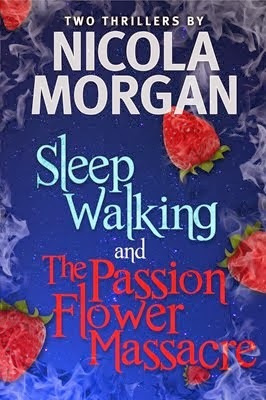 Nicola - It's interesting that you mention Margo Lanagan's Tender Morsels. I haven't read it yet, but I just finished her latest, The Brides of Rollrock Island, which is also definitely YA, though working from a similar fairy tale/fantasy base. I think now I need to get across the psychological and relationship aspects of the novel better in the pitch, which is what makes the novel darker and more complex. You also commented that it feels a bit thin, and I know there is some room there to fill it out. I also suspect (in retrospect) I was too concerned with trying to give an accurate representation of the plot in this pitch. Sofa Judge Jo - Thanks for backing up Nicola's feeling that it's more MG. I really do need to recast this so it sounds "older". Gooseghost - Hmm. I definitely want the Grimm's feel, but older. As for the traditional language, that's interesting. I was trying to give a sense of the language of the book, which is Victorian-inflected. I wonder if that comes off as traditional. Something else I will need to play with and tweak. Catdownunder - Thanks! My next version of this pitch will definitely reach to the end of the book. Elizabeth - Thanks for also pointing out the language cues. I need to figure out how to get the Victorian feel across without it sounding too young or tired. Phew. Thanks again for your comments. I have lots to think about for revising this now so that it's YA complexities come through better. Inkpen - Hello! I didn't see your comment before. You've gotten from the opening of the pitch exactly what I was hoping to get across! I'm glad it worked for you. Thanks for your comments on needing more from the pitch and for confirming the younger feel. I will take this all into consideration when I go back to the pitch. "she slowly discovers that she and the witch are more alike than she had ever suspected." I agree that the pitch needs something more at the end, perhaps something to identify the main conflict. Don't use rhetorical questions such as "will Hazel escape/make amends/learn from her ways?". Don't explain the plot any further. Merely add something to further explain the choices that lie before Hazel (and perhaps any further consequences of the witch knowing her True Name) and the conflict that each choice could bring her. I agree this sounds younger than YA - though this isn't a genre I read much. And I agree 'One hot August day' feels like a cliche, and I'm not sure about 'a fractious young lady' - can you not just say Hazel. Then - as others have said - we want to know what happens next. Having said that - this looks like a great read, so I hope you manage to hone this pitch. I have to agree with most of everyone else's comments but in particular with Dan's. The idea of Hazel and witch slowly becoming more alike really stuck out to me as being creepy and making me wonder how they are alike, it hints at both a softer side/past to the witch and also a darker side to Hazel which I think readers really respond to. From what you've said in your own follow up comments this is definitely YA so its maybe just a case of tweaking the tone of the pitch and focusing on the crux/conflict of the story. Dan - Thanks for pointing up the importance of Hazel and the witch's relationship, which, in many ways, is the book. Taylor - Thanks for the ideas about where to go at the end. I'm realizing I need to explain the stakes in more detail. Thanks to everyone for the wonderful comments and to Nicola for giving me the chance to get feedback. I will keep honing my pitch! I rather like the "old fashioned" tone of the writing but more of the dark would make it YA and not young-reader material. IMHO. Would be interested to read it when re-jigged. I have to agree with everyone else that the pitch sounds slightly younger than you intend it to. But I had no problem at all with the opening paragraph. I think it's just me though - when I first read it I thought the one True Name was referring to Hazel for some reason. As others have said working on discovering her similarities to the witch is the crux and I'd like to know more about this. And yes - getting over the giving away the ending is something we all need to learn but jeez is it scary.